Look, are you a kid or a squid? Make up your dang mind! Hey guys, whatcha playing? 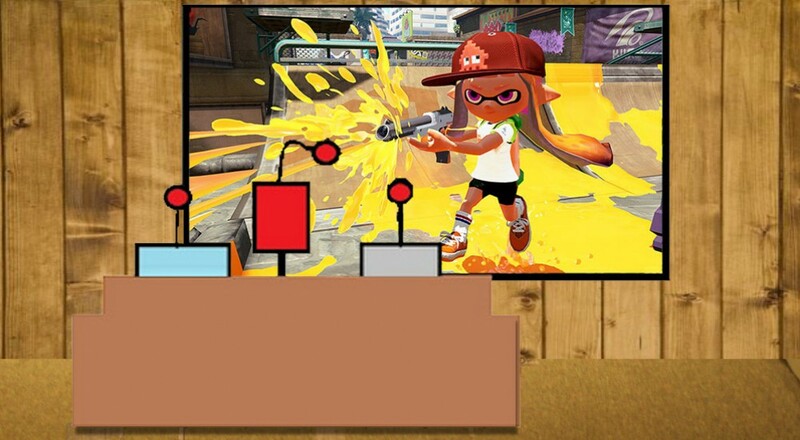 A bunch of us are addicted to Nintendo's splatteriffic shooter Splatoon, while others plan to spend some time with Destiny, Hearthstone, and Puzzle & Dragons. Nick Puleo (@NickPuleo) - "I'm knee deep in Unity development messing around. WIll likely stick with that, though I did pick up Fallout: New Vegas on the weekend deal." Danny Cowan (@db_cowan) - "Splatoon. Then more Splatoon. Also Splatoon." Mike Katsufrakis (@Pheriannath) - "S P L A T O O N"
Marc Allie (@DjinniMan) - "It will be a busy weekend, but I hope to get some Hearthstone and Starcraft 2 in." Jason Love (@JLove55) - "A little more Witcher 3, I believe, and possibly some Destiny and more Puzzle & Dragons"
Eric Murphy (@smurph_em) - "I'm flying out for a week long business trip on Sunday, so there won't be much gaming this weekend. Maybe I'll play some Mario Kart 8 or Super Mario 3D World with my girls." Locke Vincent (@LockeVincent) - "Headed out of town, so looking at some mobile stuff; mainly Mario Puzzle and Dragons for the Nintendo 3DS handheld system. " Sam Tyler (@thereelsamtyler) - "Another weekend of Far Cry 4 for me as I tackle those last few missions to complete the game and then perhaps for more Destiny." Chris Metz (@The_Lemko) - "I'm going to be a kid now and a squid now. Splat-ta-ta-ta-tat, Splatoon!" John Bardinelli (@itsamejohn) - "Busy weekend at work, but I'm sure I'll squeeze in some time with Moon on 3DS." Enoch Starnes (@enochstarnes) - "Out of town once again this weekend, so I'll probably work on getting destroyed a little less in Hearthstone. Failing that, there's always Shining Force." Taylor Killian - "It's a traveling weekend for me, so I'll be keeping it fresh with some Bravely Default and some of the eternal quest to beat Yama in Spelunky!"